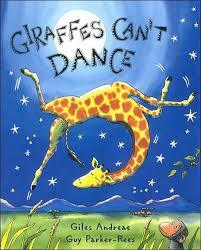 Whether you are a swan eager to fit in with a class of budding ballerinas or a giraffe yearning to join in the Jungle Dance with his animal friends, dancing is for everyone! Each of these books shares an important message to it’s young readers: we can all find great joy and a way to participate in the dance experience! How someone looks is much less important than the passion that he or she has toward this amazing art form. I recommend both of these books for young children. Each book shows the sadness that one find’s in feeling he or she is different. Sophie, the swan, was initially shooed away for being webbed and winged. But, once she was given the opportunity to give her best effort, she eventually overcame the challenges and joined her ballerina friends in a performance of Swan Lake. Gerald, the giraffe, was first teased when he first tried out his dance moves, and was taunted with comments of looking so very weird. With a bit of encouragement from a cricket, he found that everyone can dance if you find music that you love! So look for these great books the next time you are seeking a wonderful story to empower your little one! 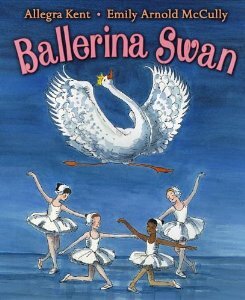 Here are the links to Ballerina Swan by Allegra Kent and Emily Arnold McCully Giraffes Can’t Dance by Giles Andreae and Guy Parker-Rees. Cynthia Wilkinson is a musician, teacher, and career nanny. All children love her original compact discs which include:Jumpin’ Up to the Moon and Jumpin’ on Down the Road. In 2009, she began her Jumpin’ With Cindy Music Blog for parents, teachers, and nannies with the latest trends and information on arts education for children. She was also awarded the 1998 International Nanny Association’s Nanny of the Year Award.